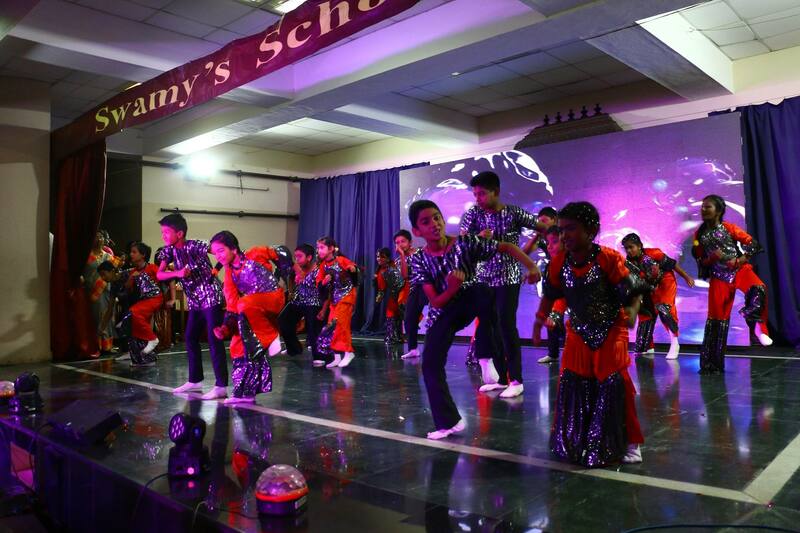 No education can be complete without the arts and creativity playing a central role in a child’s life. 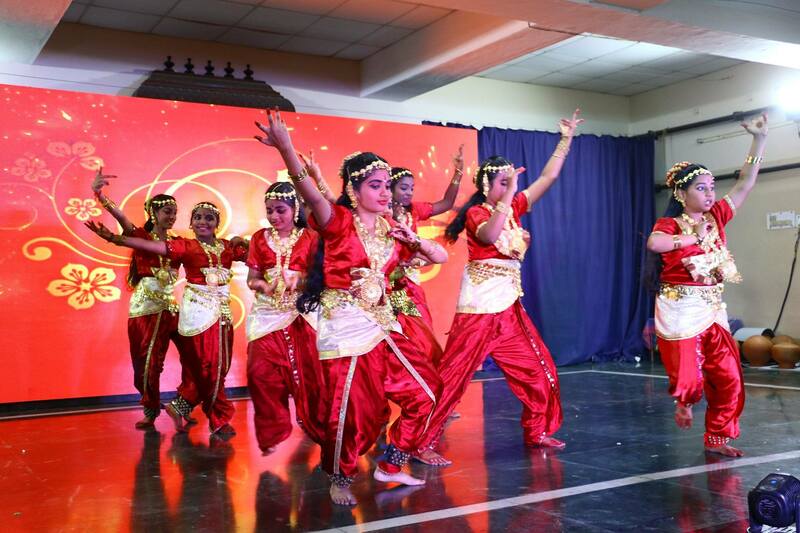 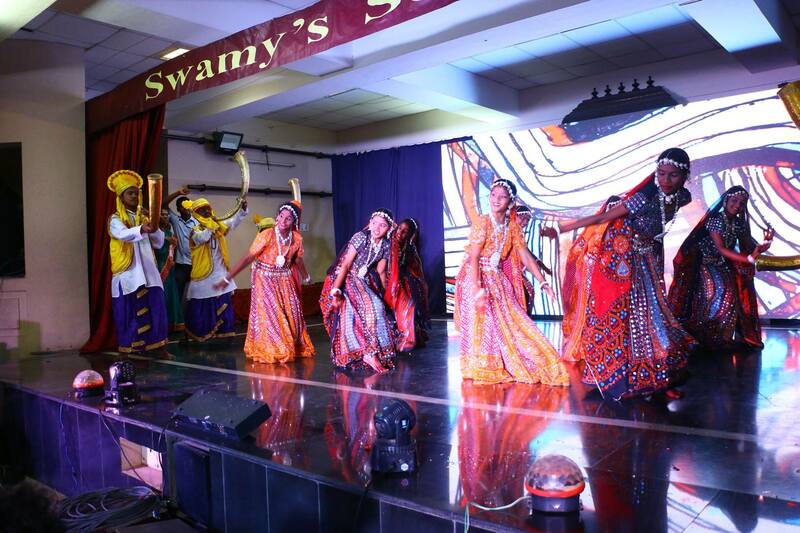 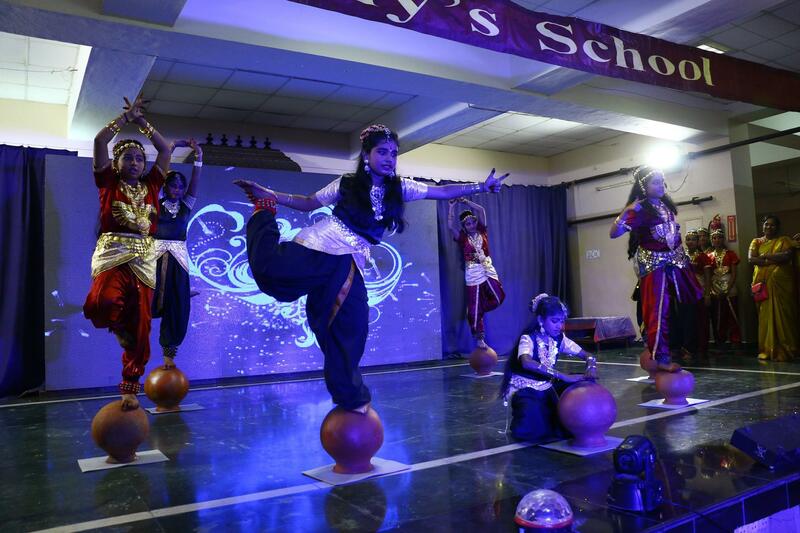 The Annual Cultural day is a Red-Letter day for all schools. 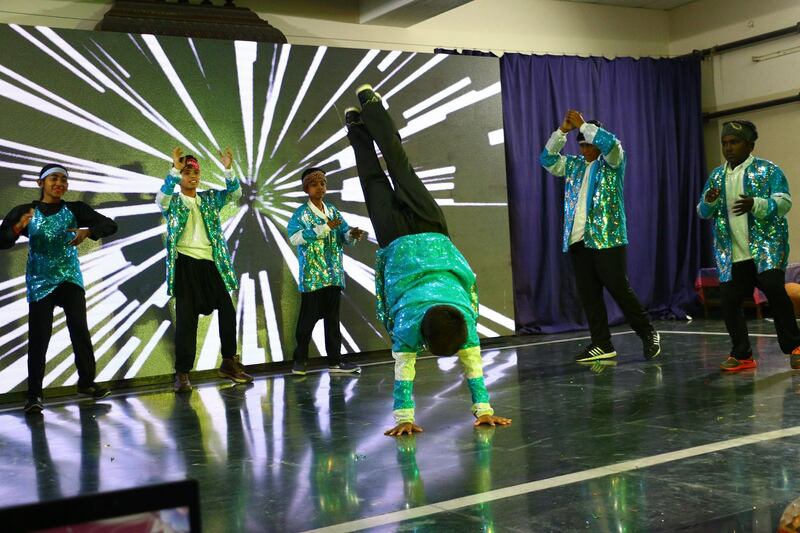 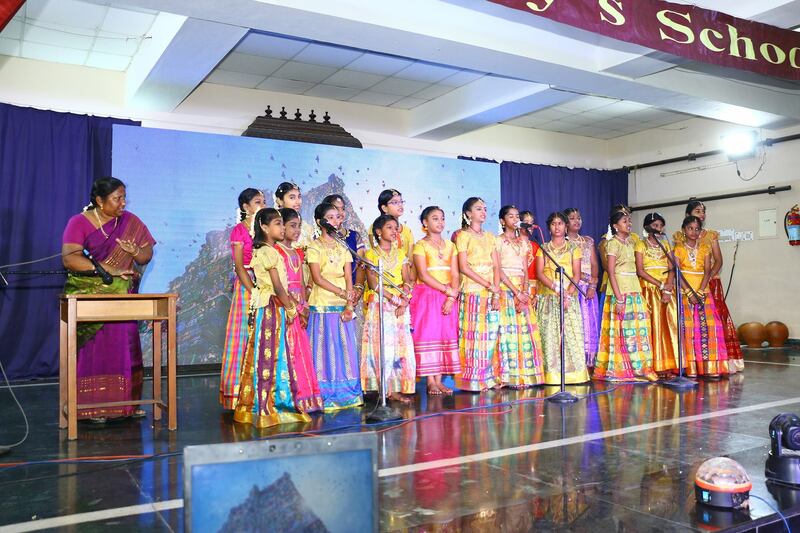 The students get a chance to display their talents in front of a big audience. 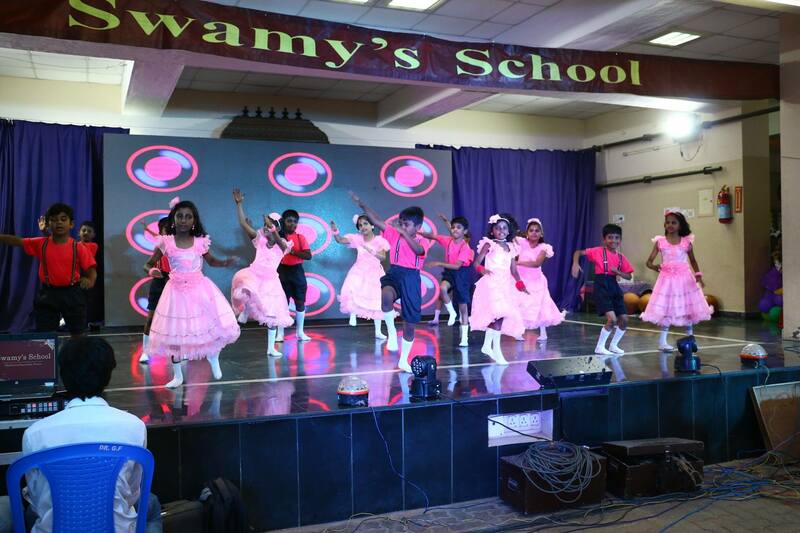 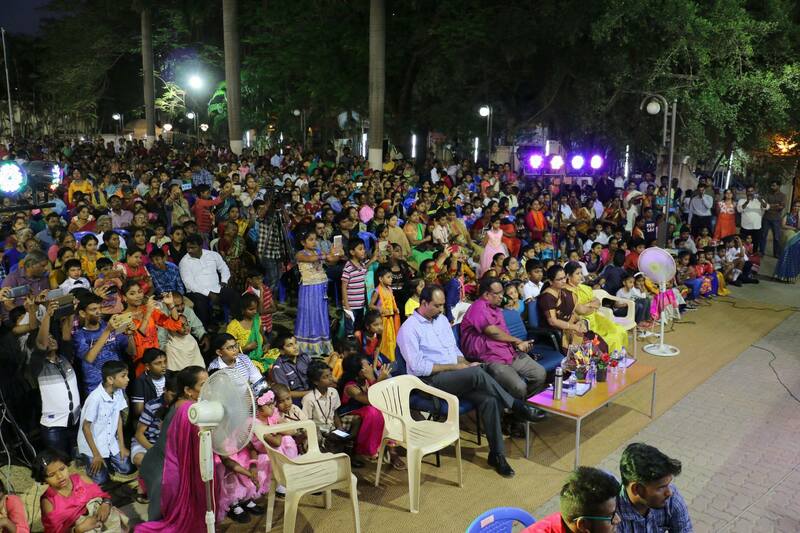 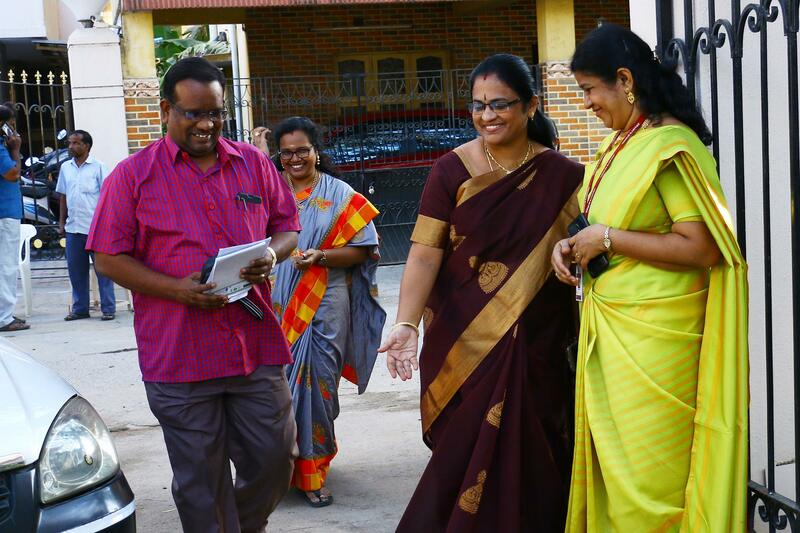 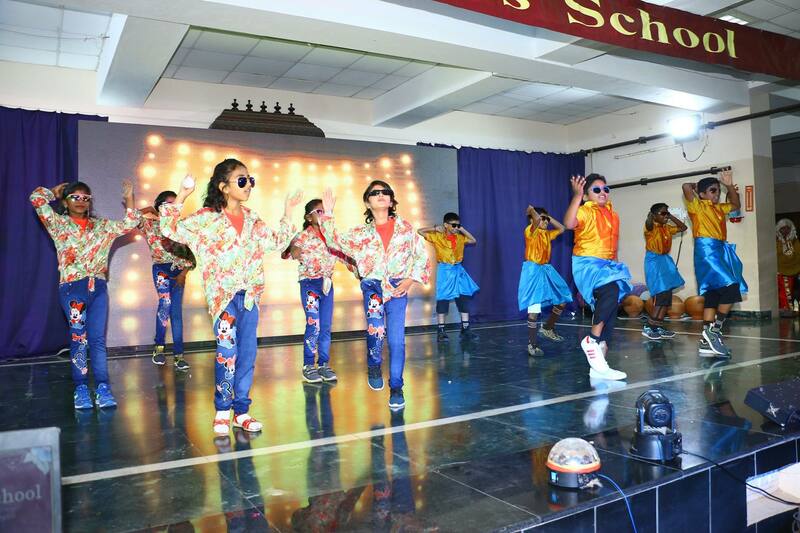 The Annual Day of our school was held on Friday the 22nd of February 2019. 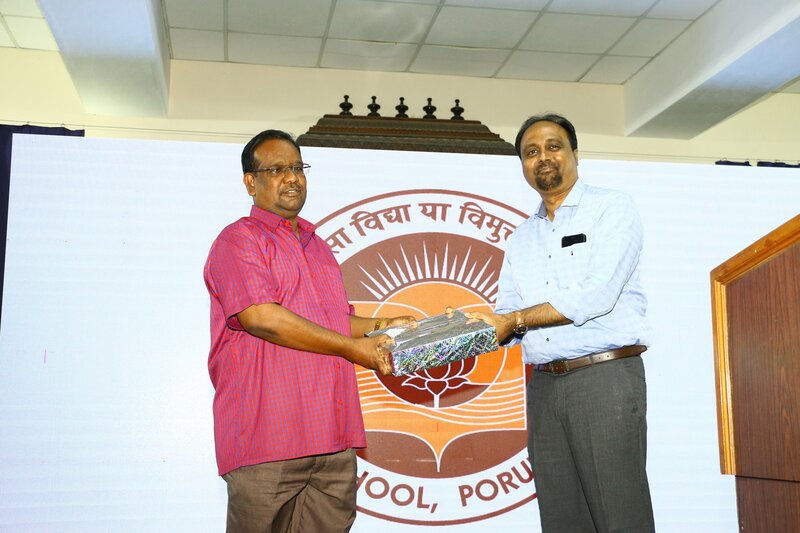 The Chief guest for the evening was Kavingar J Arul Prakash, Tamil Orator, Poet, a famous personality in Tamil debate shows and is a high-school teacher at ELM Fabricius Higher Secondary School. 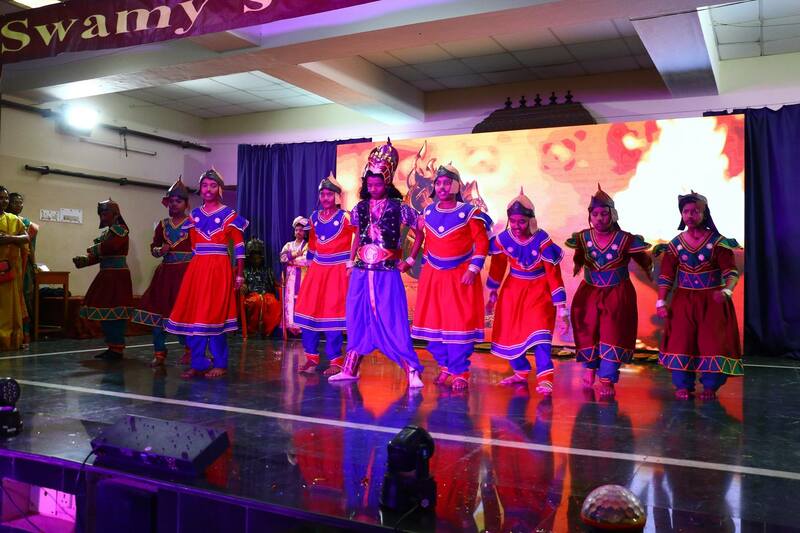 He has participated and received accolades in various popular TV shows. 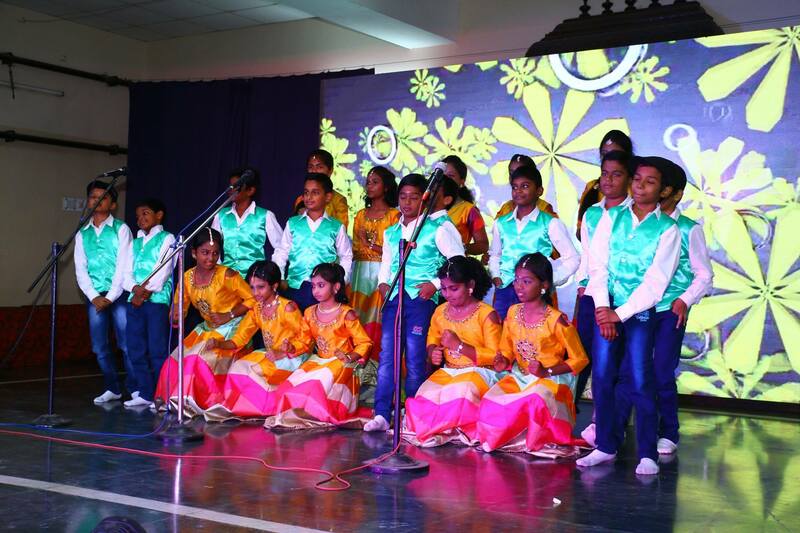 The School’s open-air auditorium was prepared for the occasion. 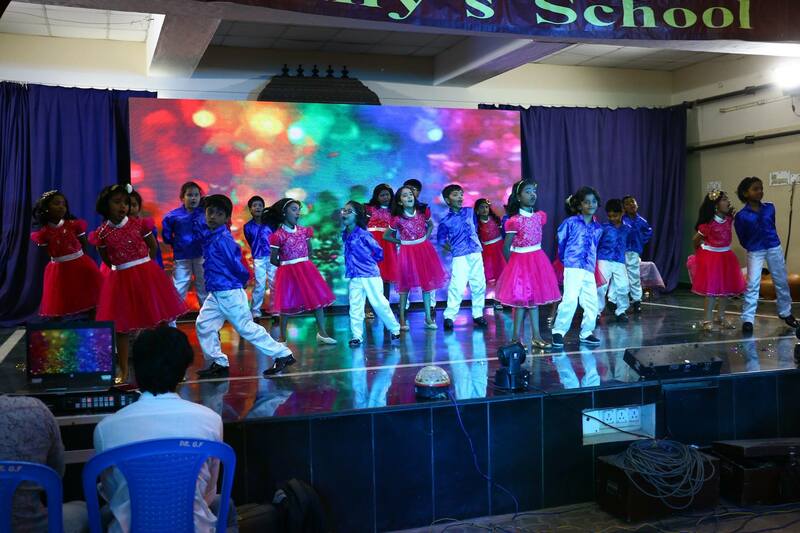 It was decorated with Writings, Balloons, Banners, LED screen and Lights. 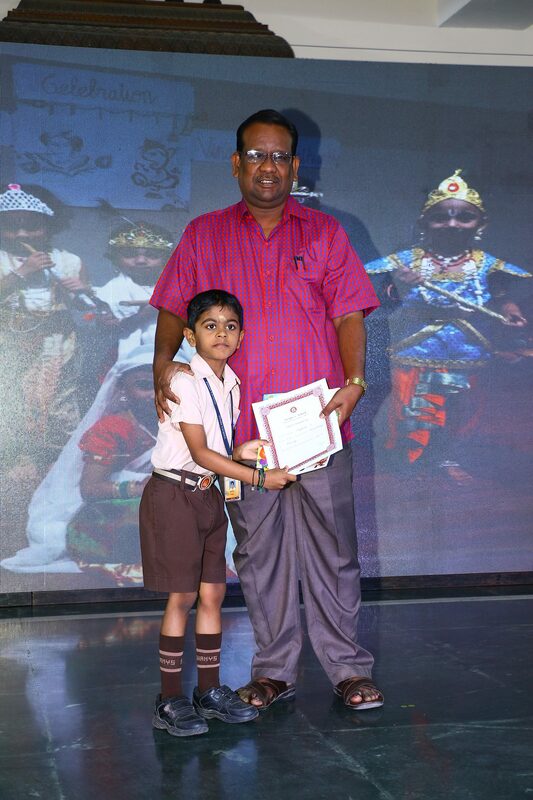 As the Chief Guest arrived, the school-band played a beautiful tune and he was escorted into the auditorium by the Members of the Managing Committee, the Principal and teachers. 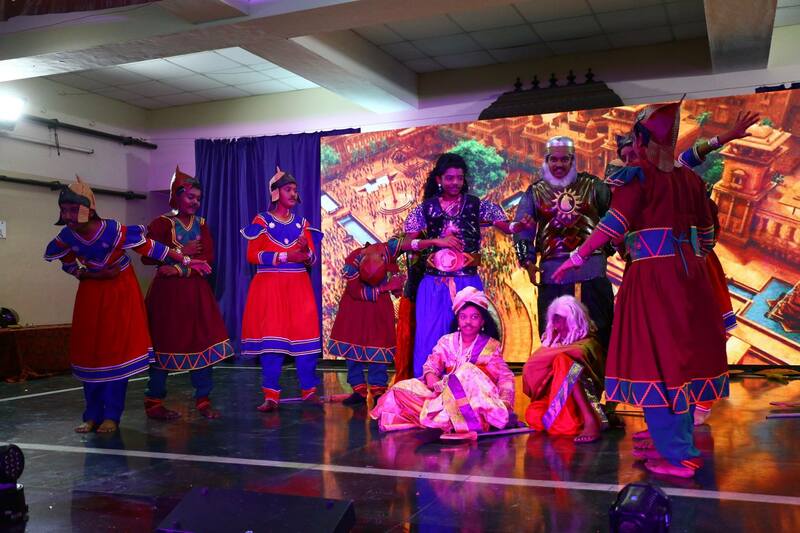 The cultural show began with a welcome song and a prayer song. 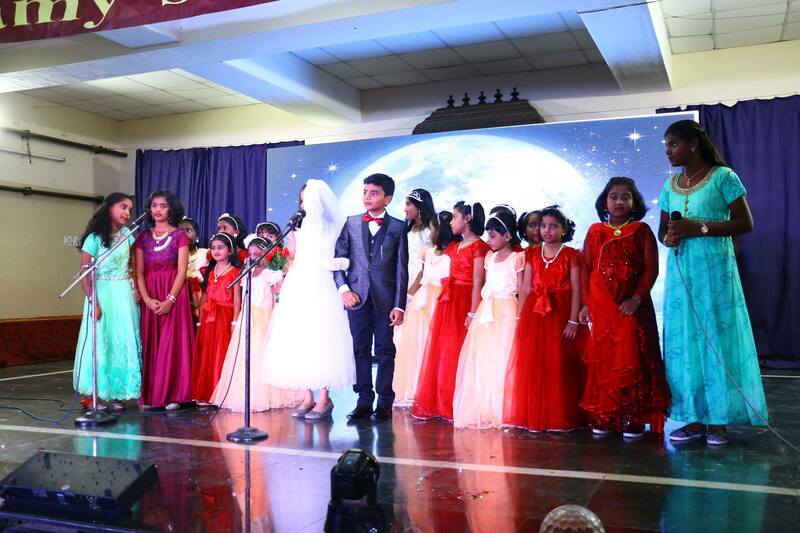 The children were all looking very colourful and lovely. 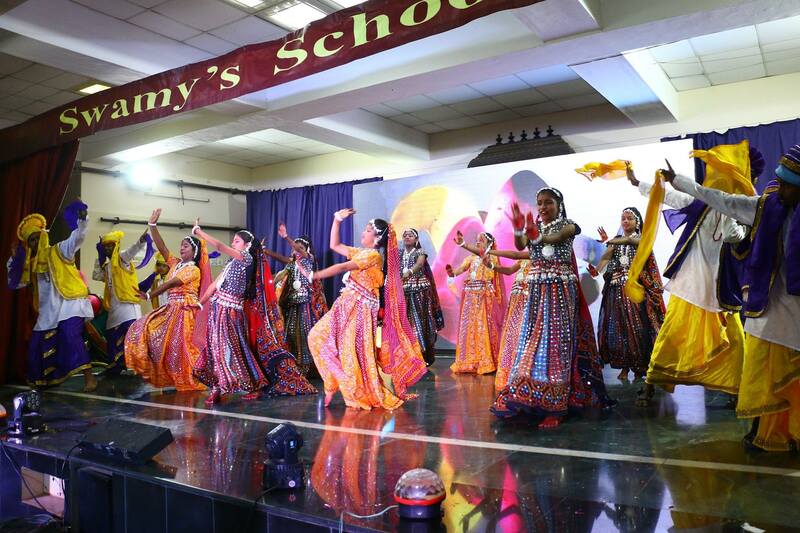 The Western and Folk dance was a visual feast to the audience. 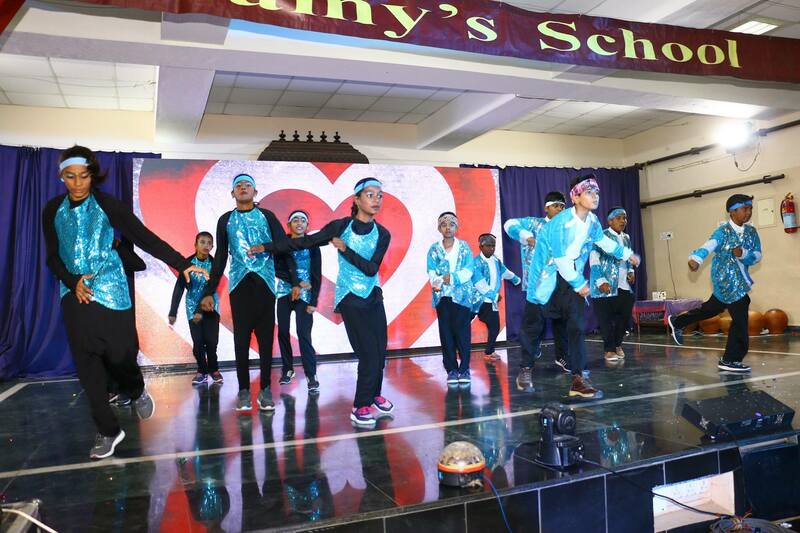 They danced all around the stage and we could see the hard work the students had put in during the rehearsals, reaching its resounding culmination. 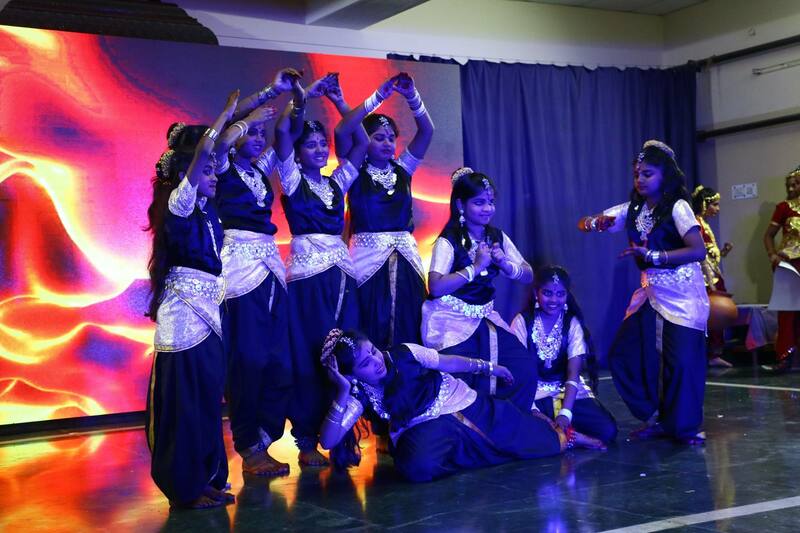 There was loud applause all around for the dancers. 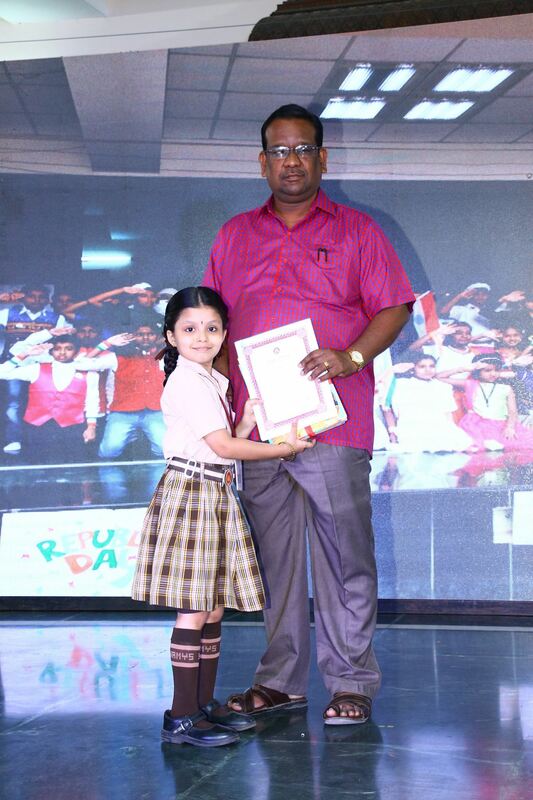 The Chief Guest was requested to give away the prizes to all the winners of various activities that were conducted during the Academic year. 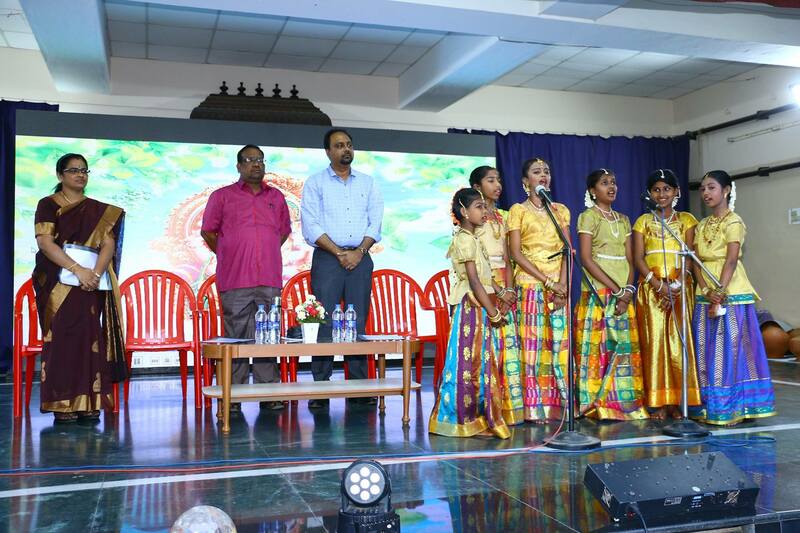 Addressing on the occasion, the Chief Guest lauded and praised the School for raising the Educational Standard in the City. 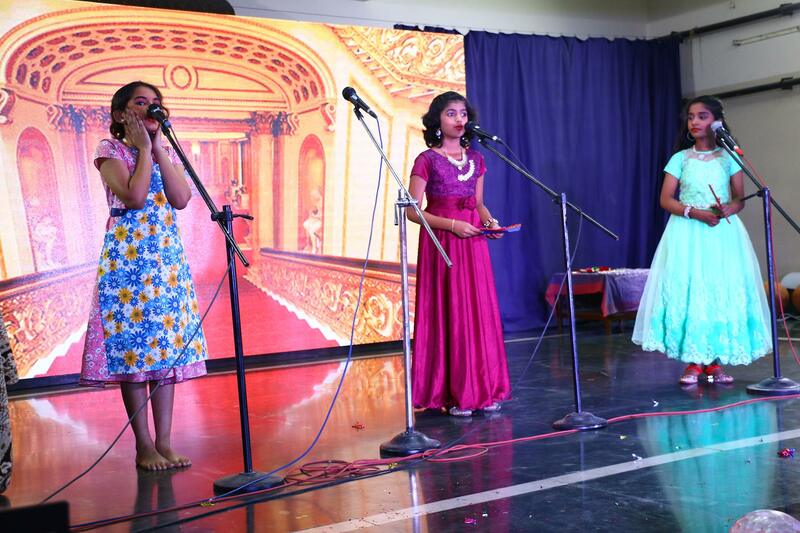 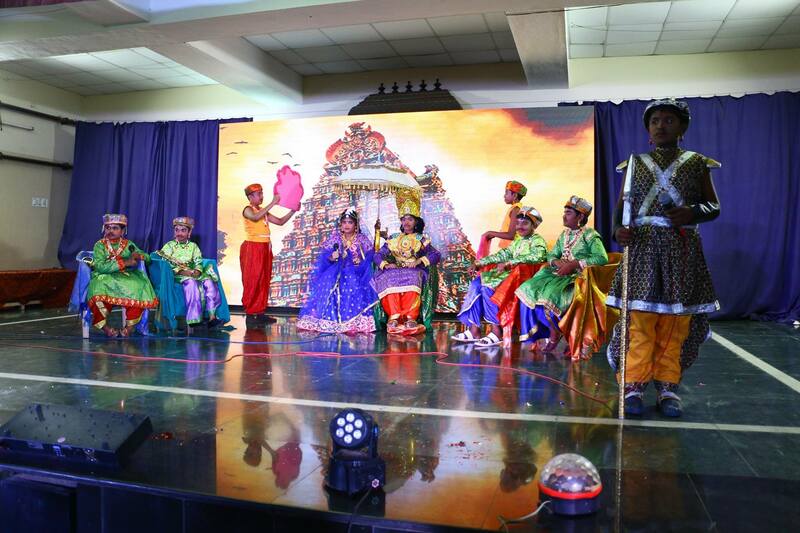 Tamil and English skits were performed too. 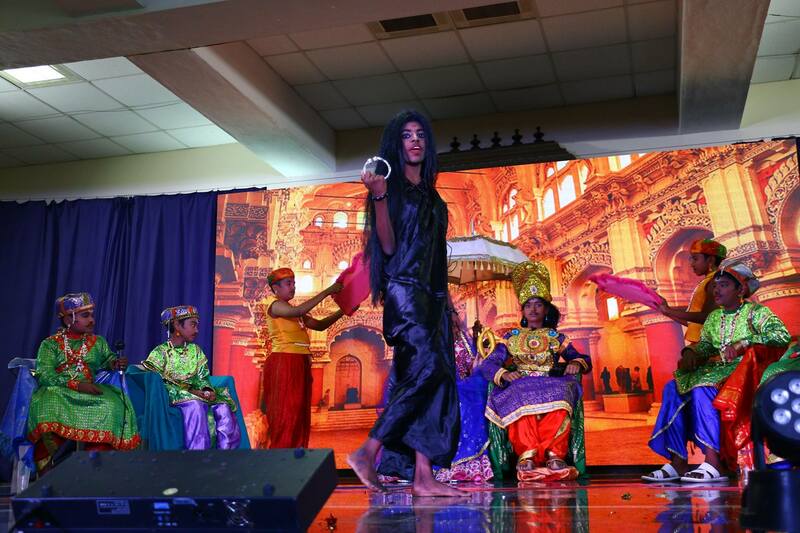 The Tamil play was about a legendary Tamil Woman – ‘Kannagi’ – from the Tamil Epic Silapathikaram, while the English play was from the famous fairy tale - Cinderella. 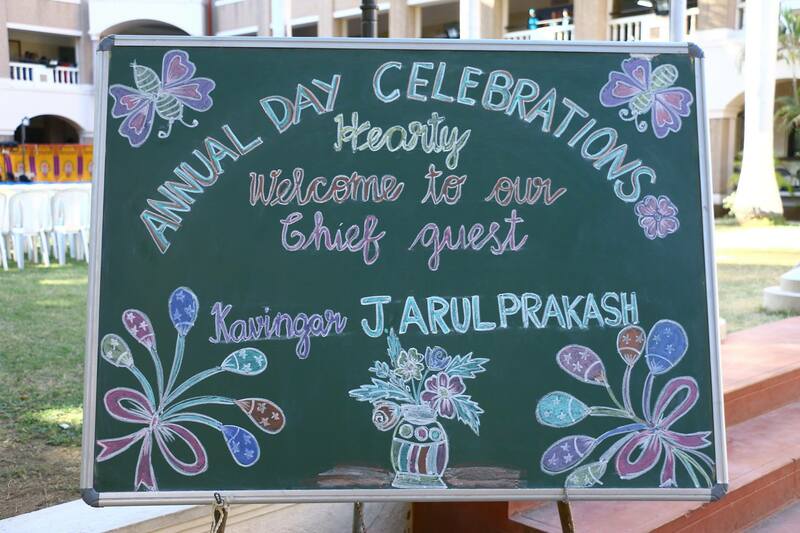 Both were very well appreciated. 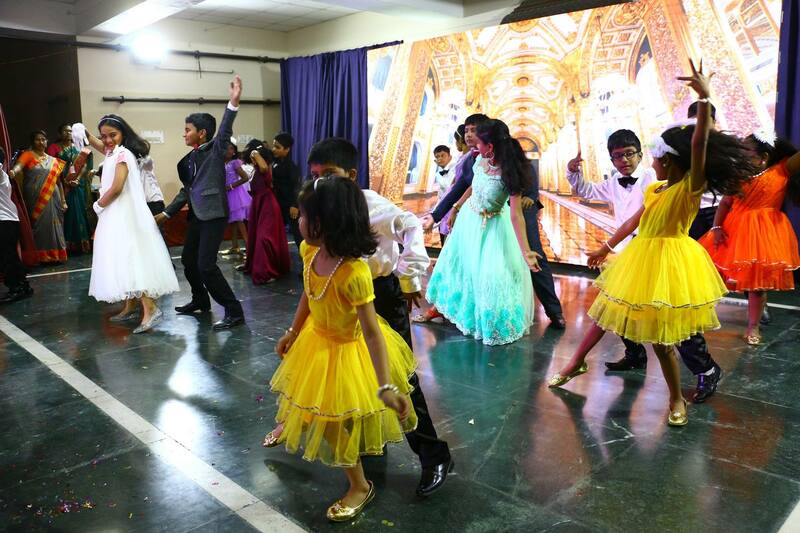 All the parents and other guests enjoyed the whole evening very much. 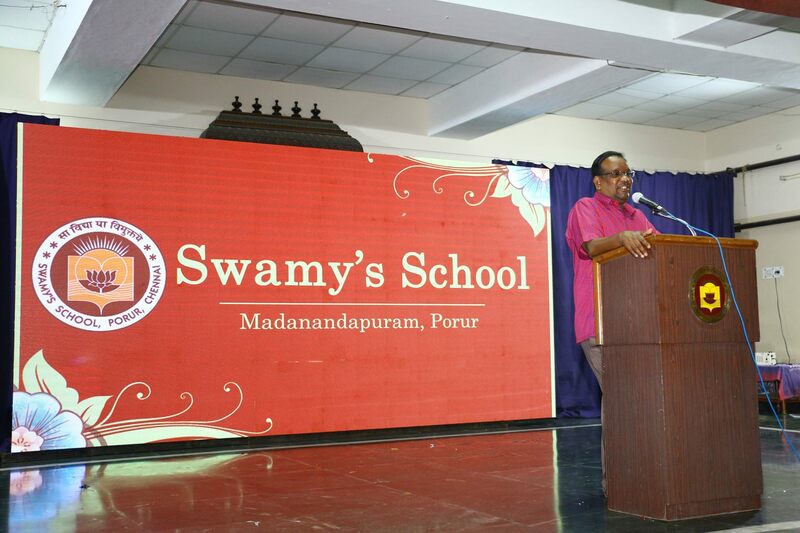 The Principal proposed the vote of thanks. 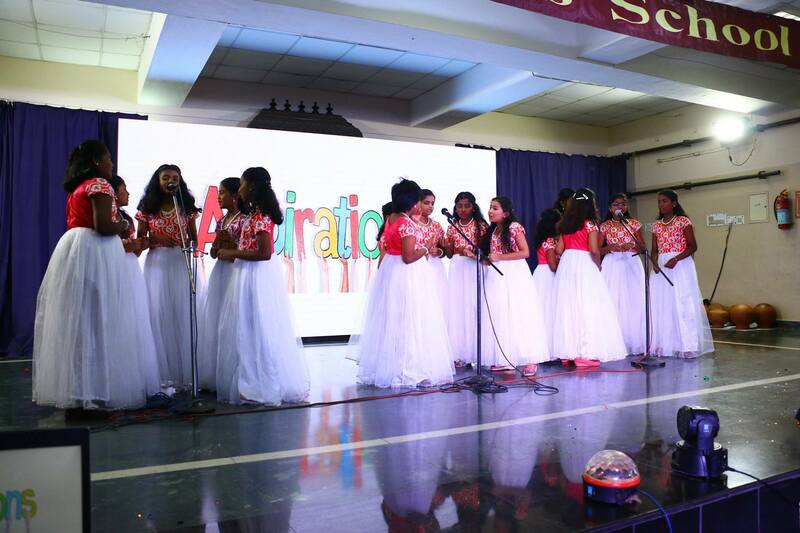 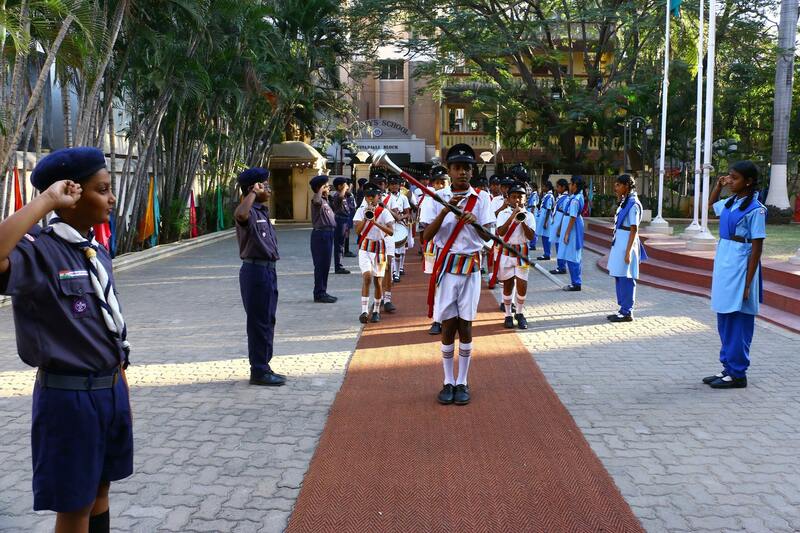 Finally, the National Anthem was sung, and the school Annual Day came to an end. 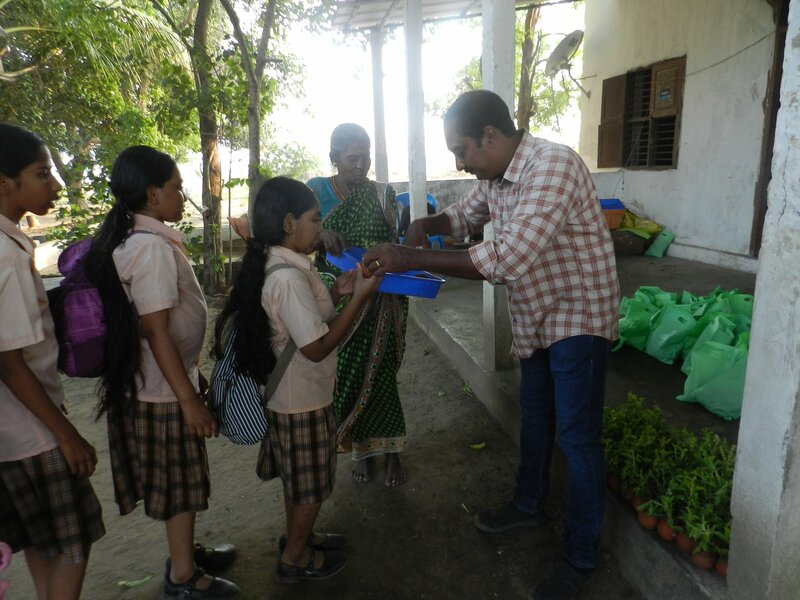 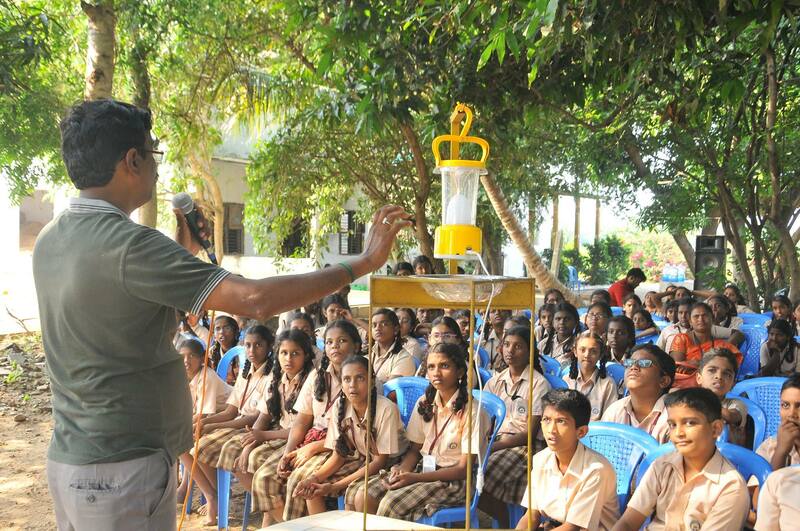 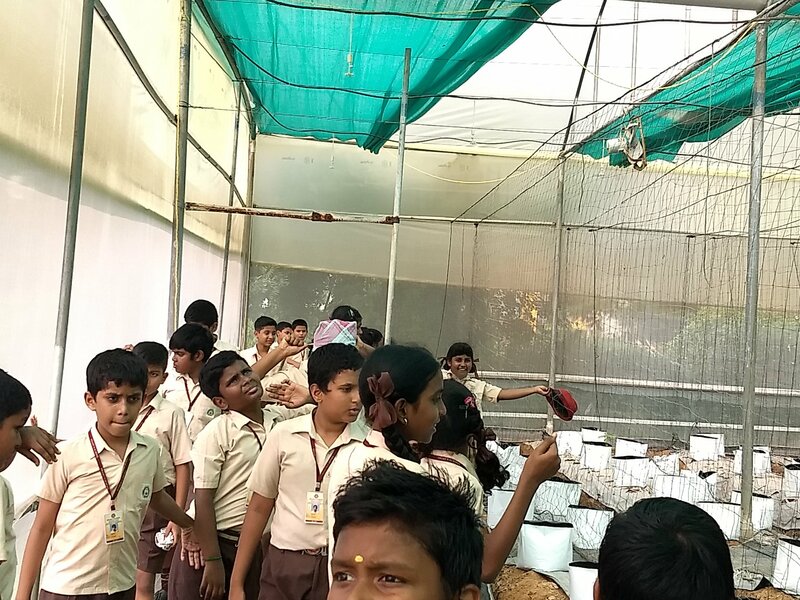 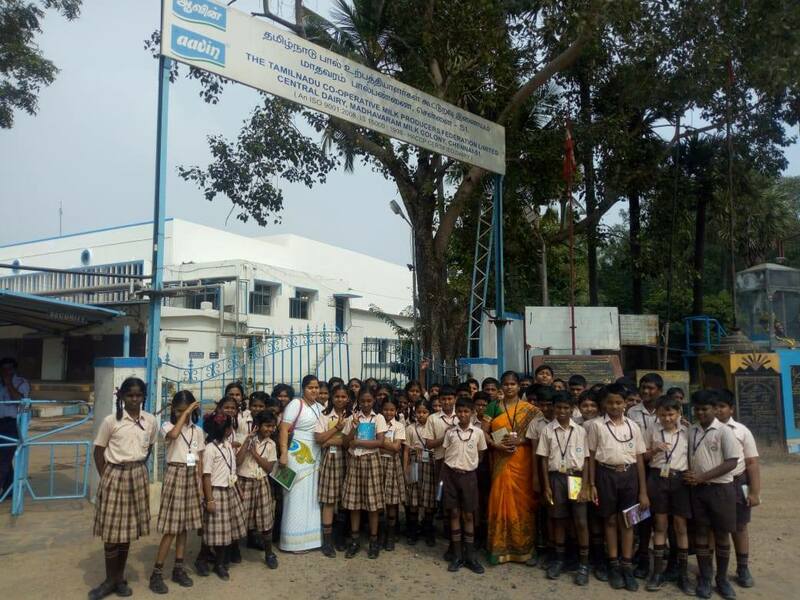 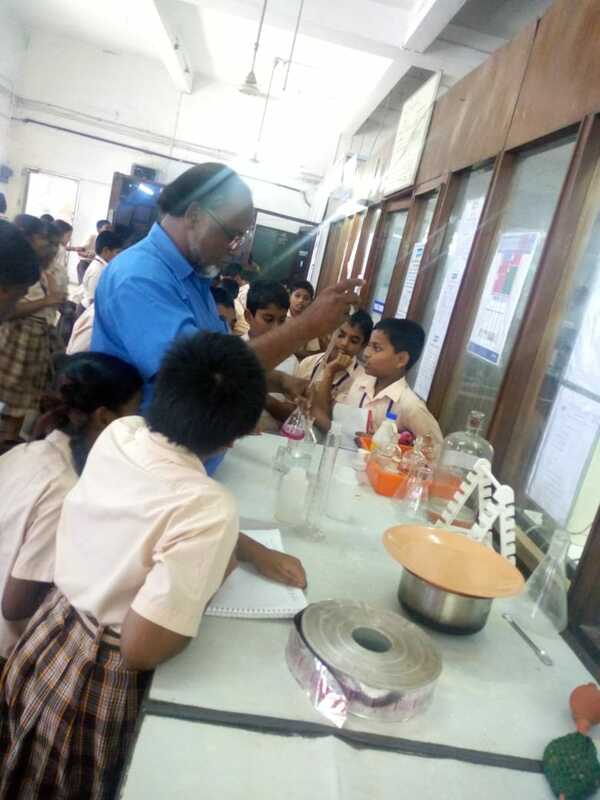 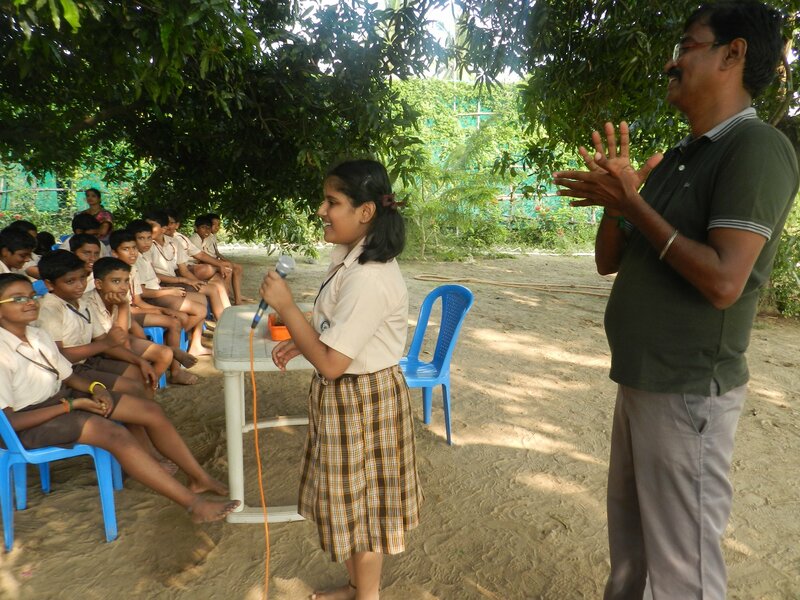 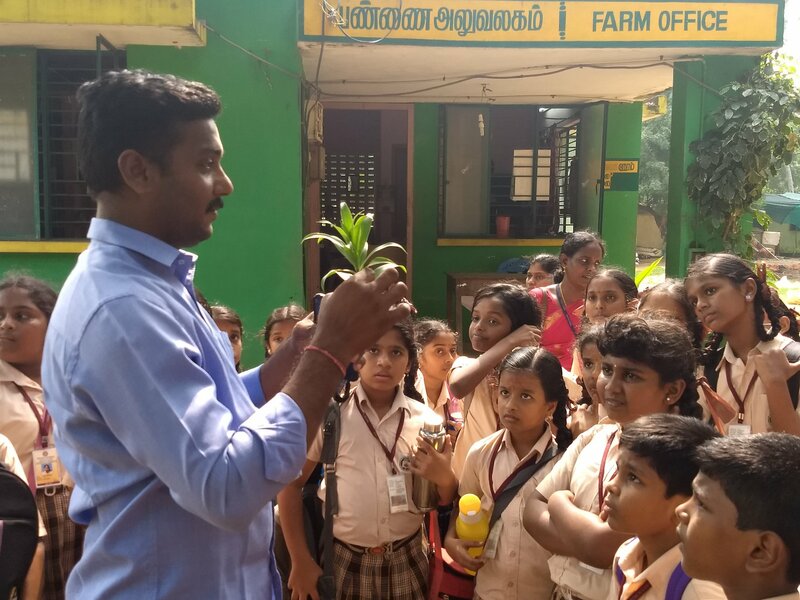 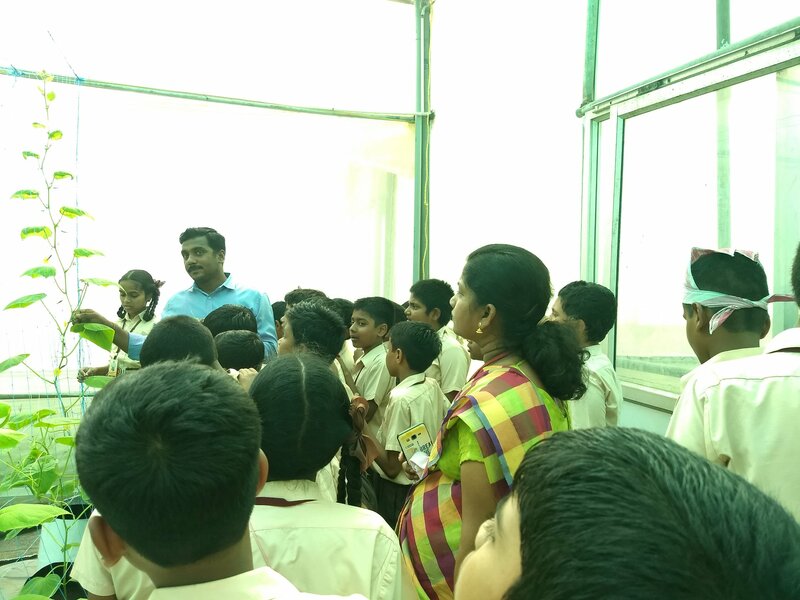 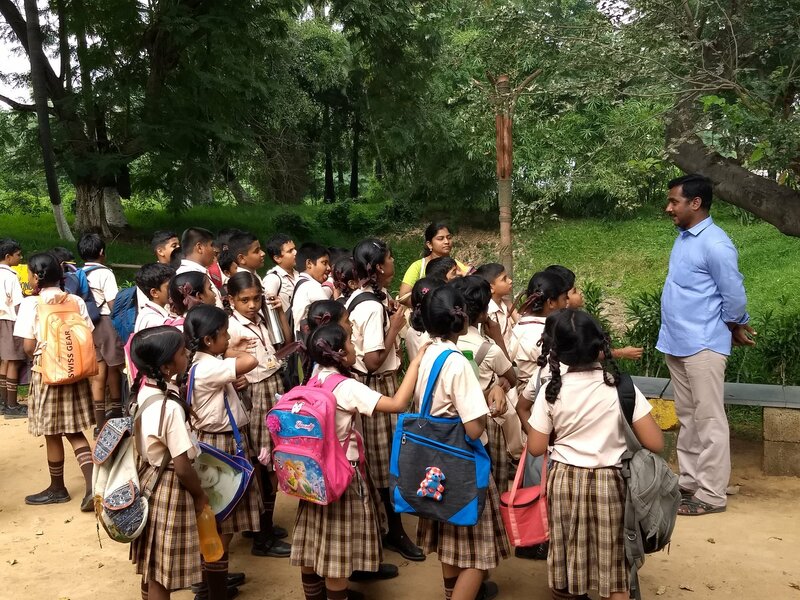 Children learnt the process of milk procurement, processing, quality check and the distribution of milk by Aavin milk processing unit and the different ways of propagation of plants and effective ways of terrace gardening at Madhavaram Botanical Garden. 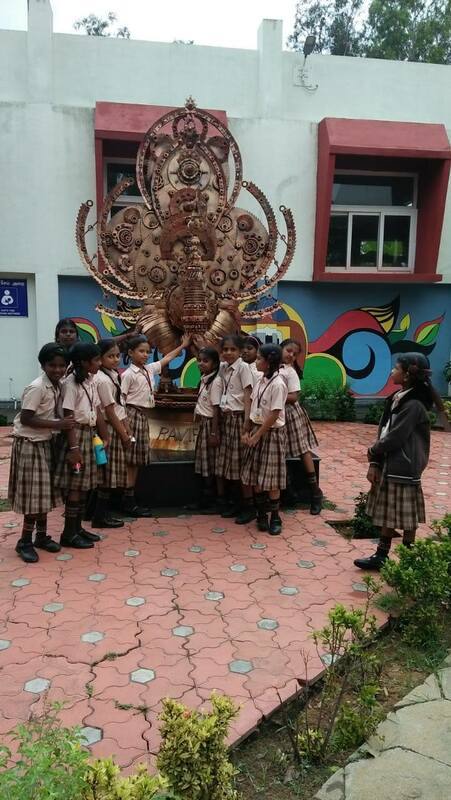 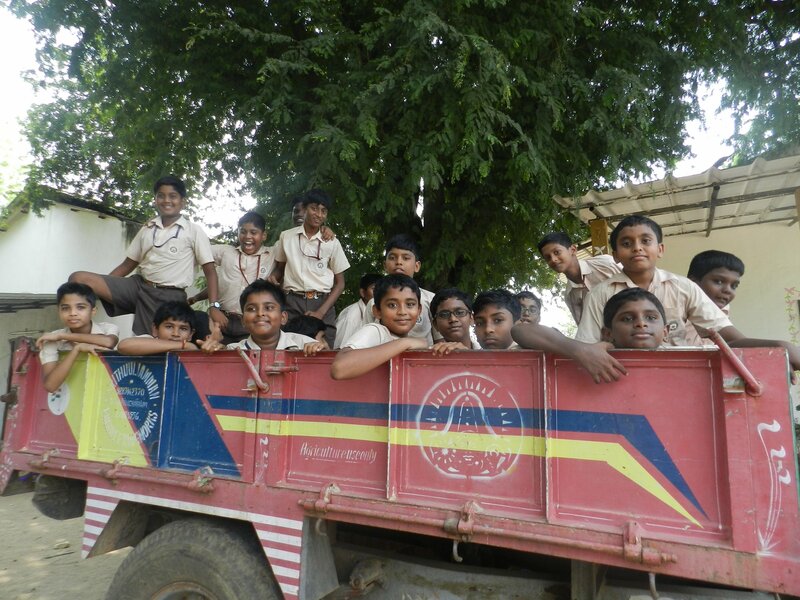 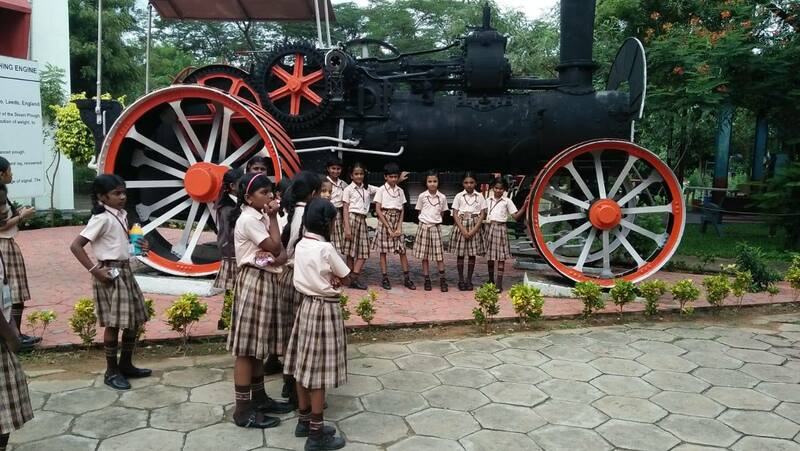 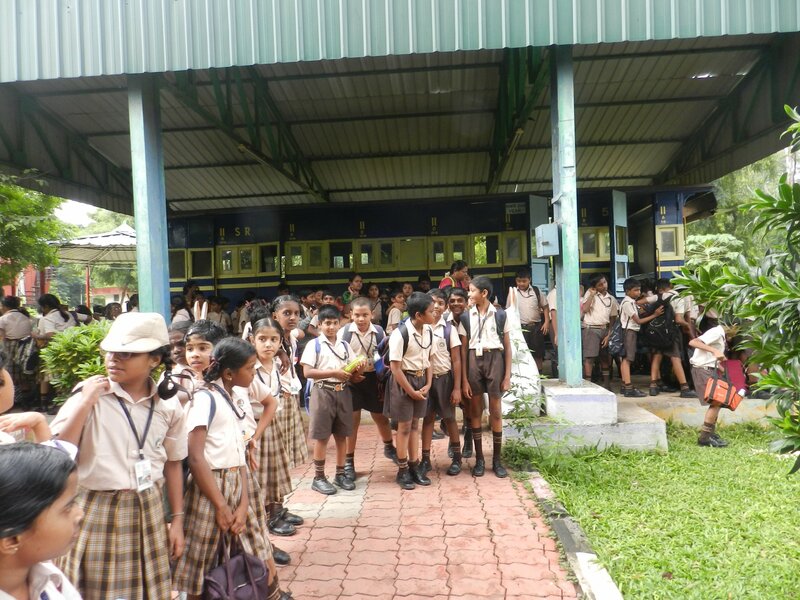 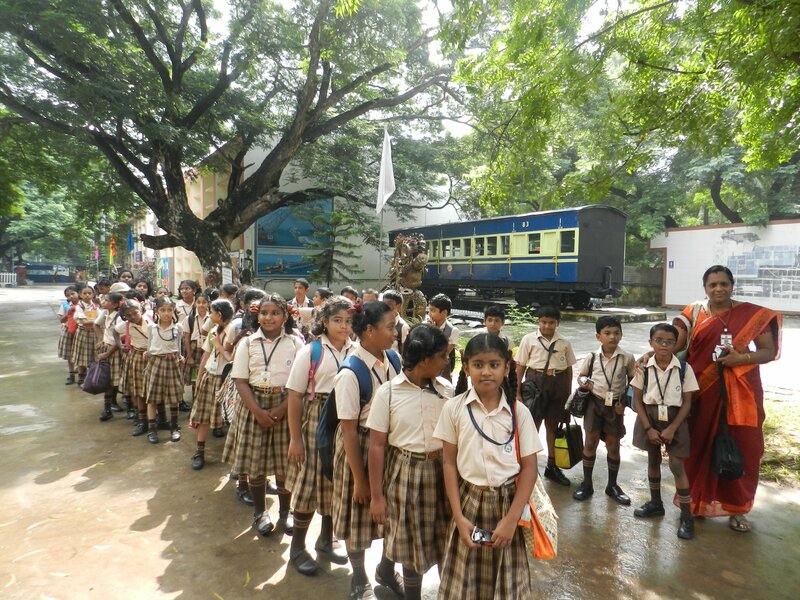 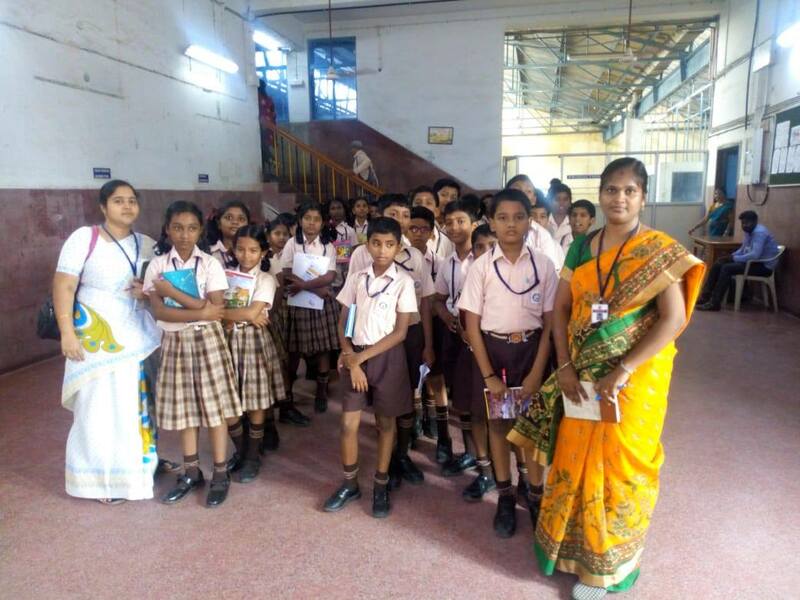 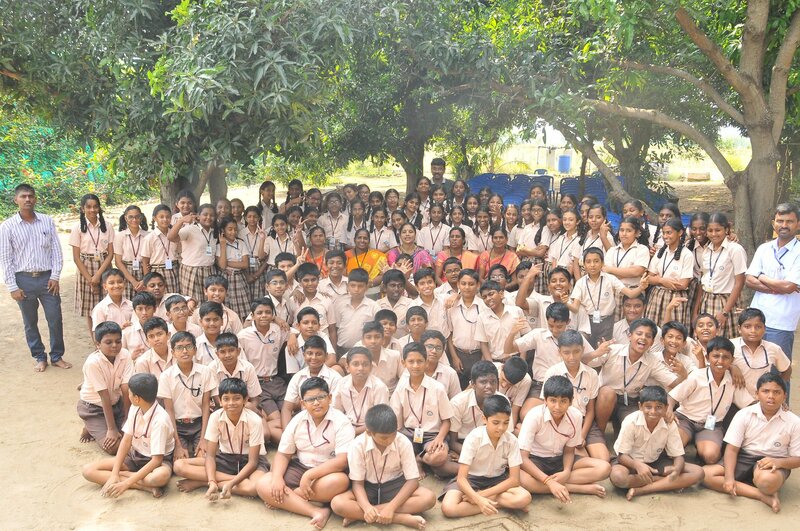 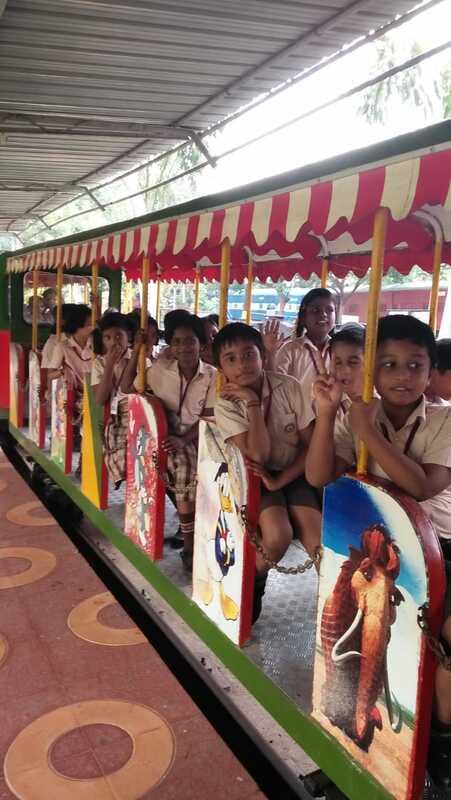 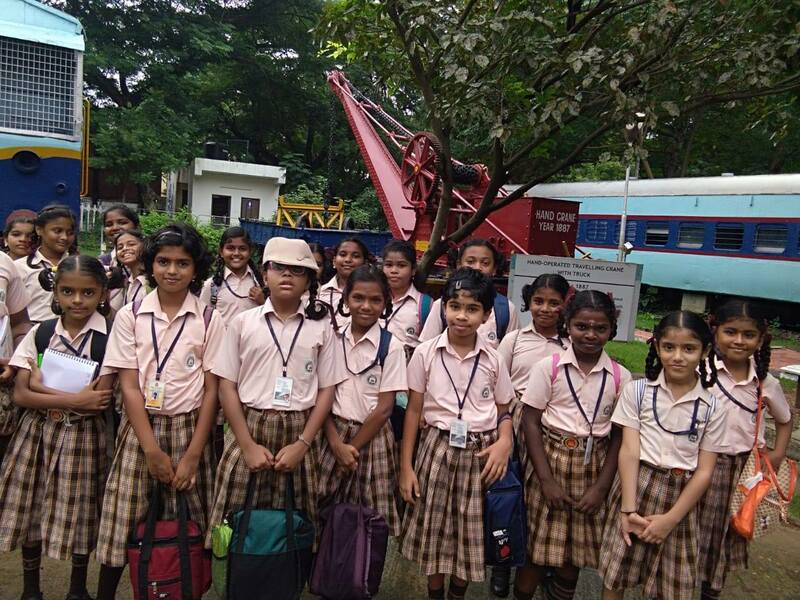 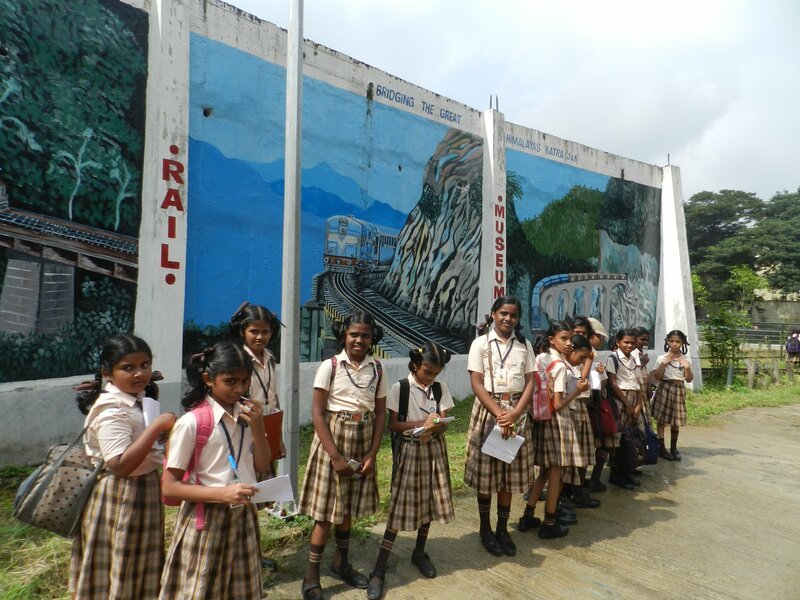 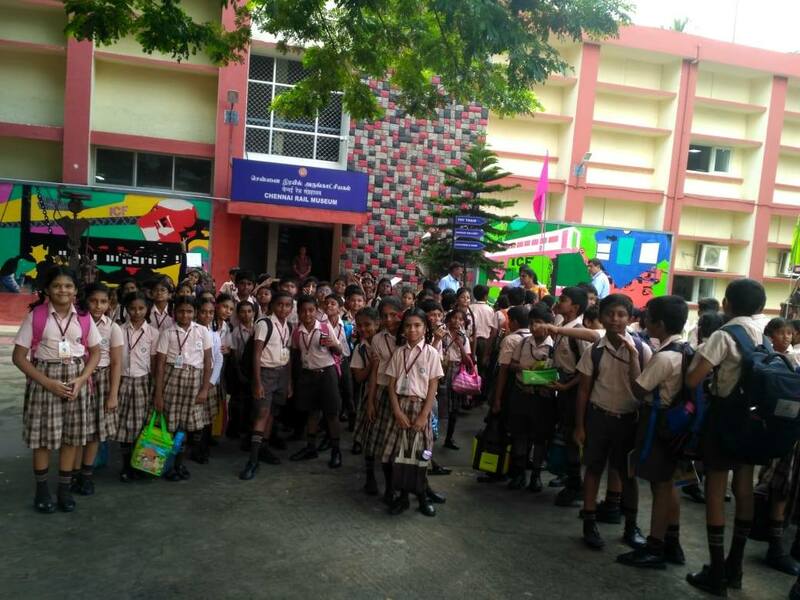 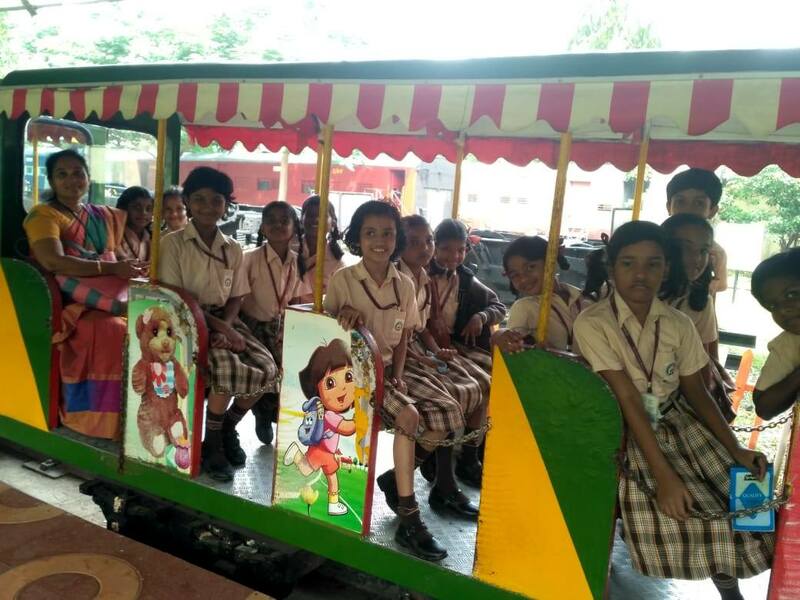 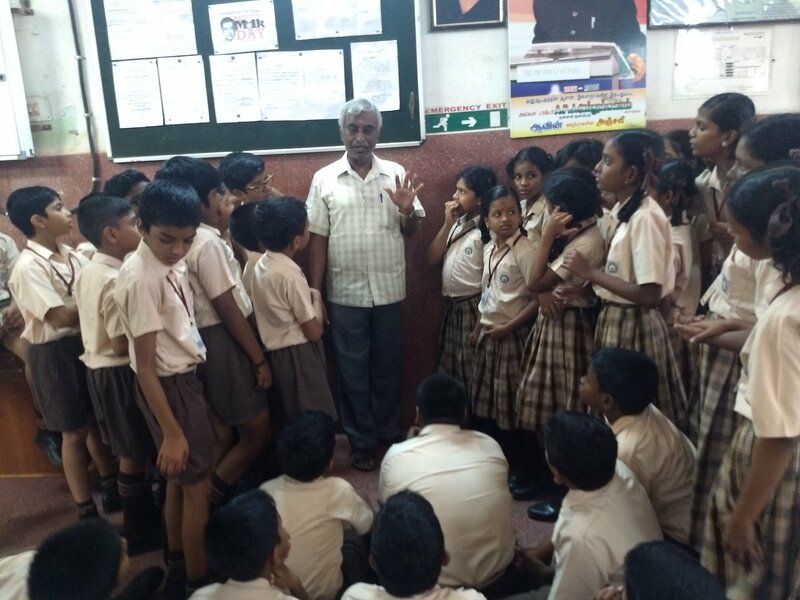 An educational tour to Chennai Rail Museum was arranged for the primary students of Swamy’s Group of Schools. 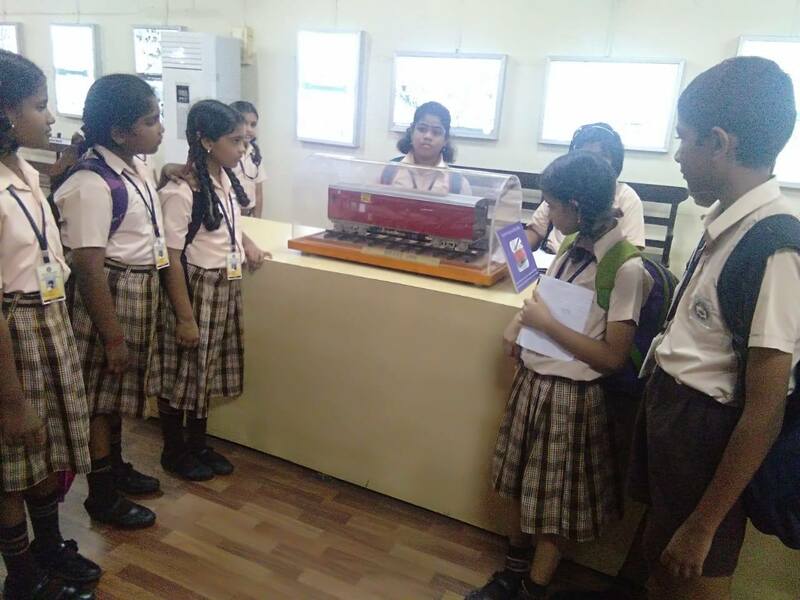 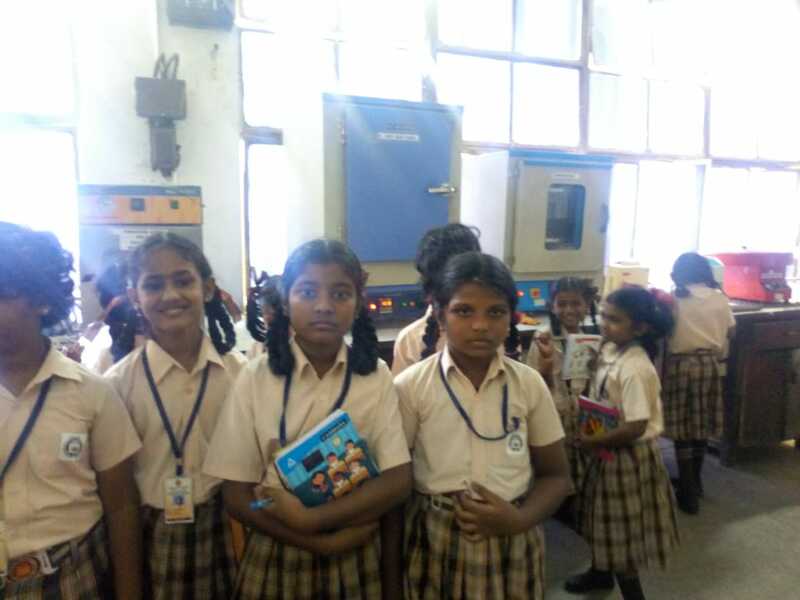 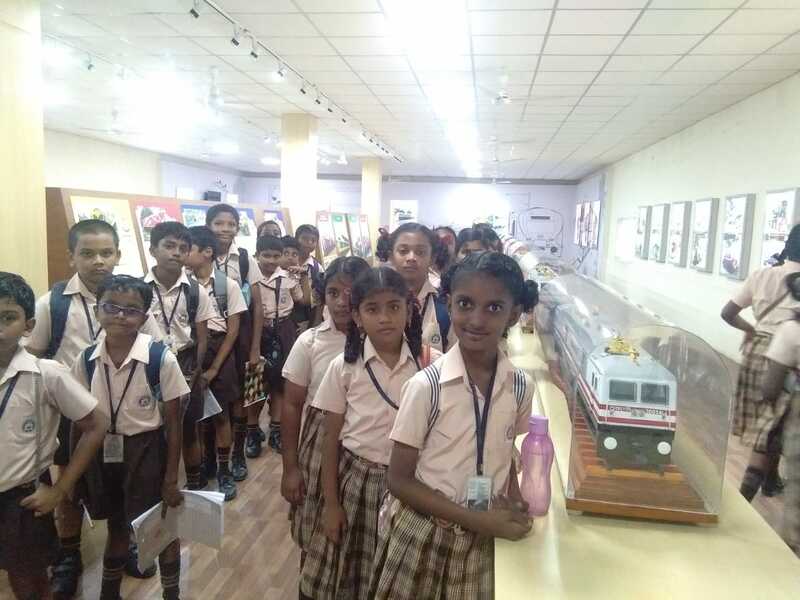 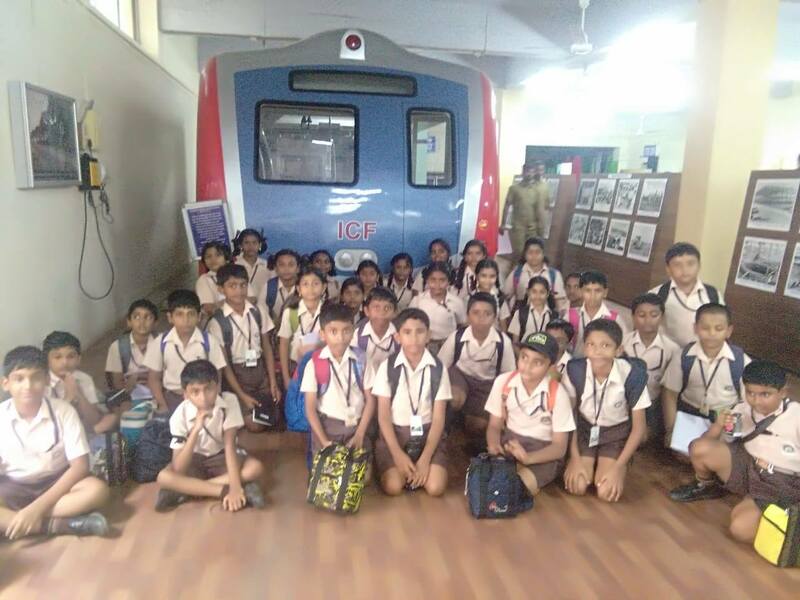 Children got the opportunity to learn about the evolution of railway transportation through rare photographs, working scale model of trains, artifacts and exhibits of train models since the British era. 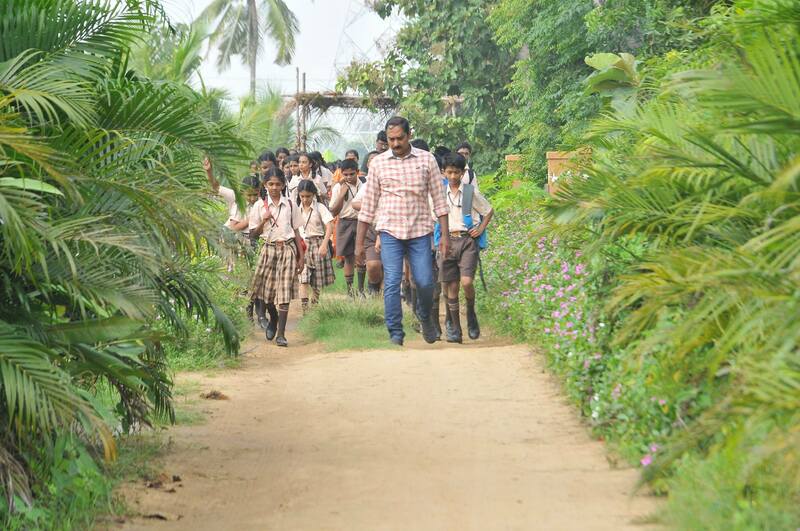 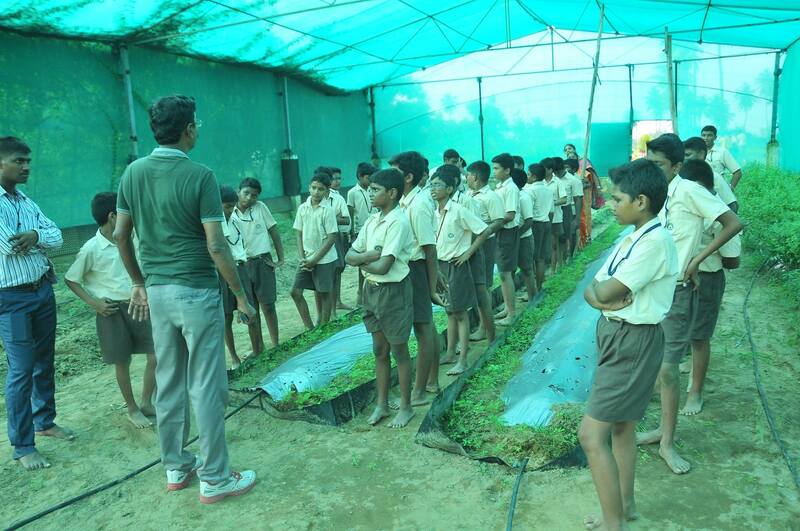 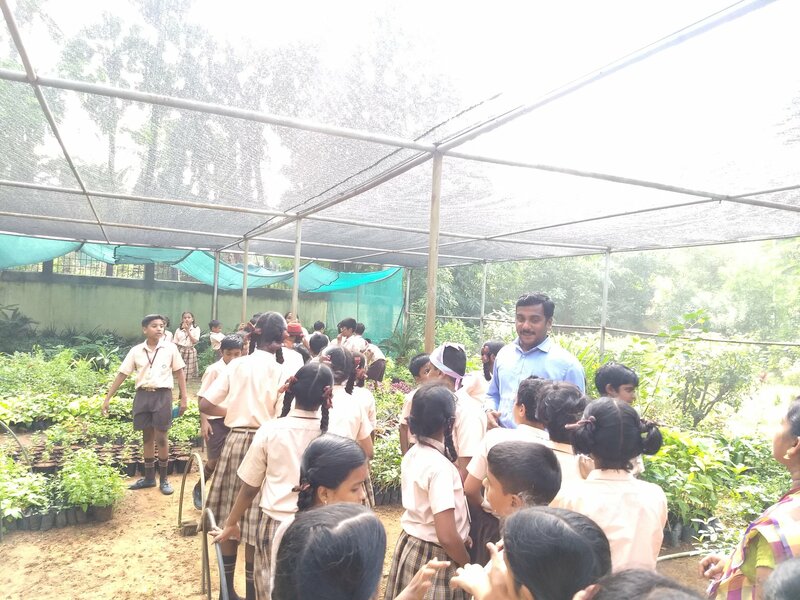 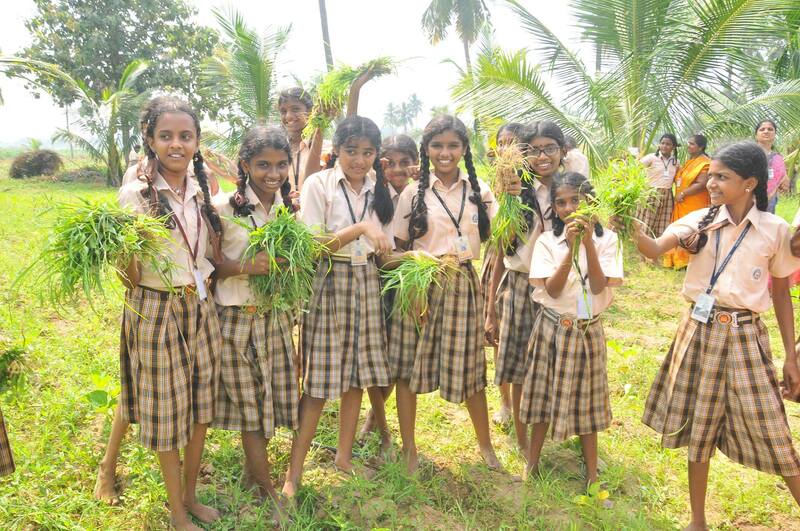 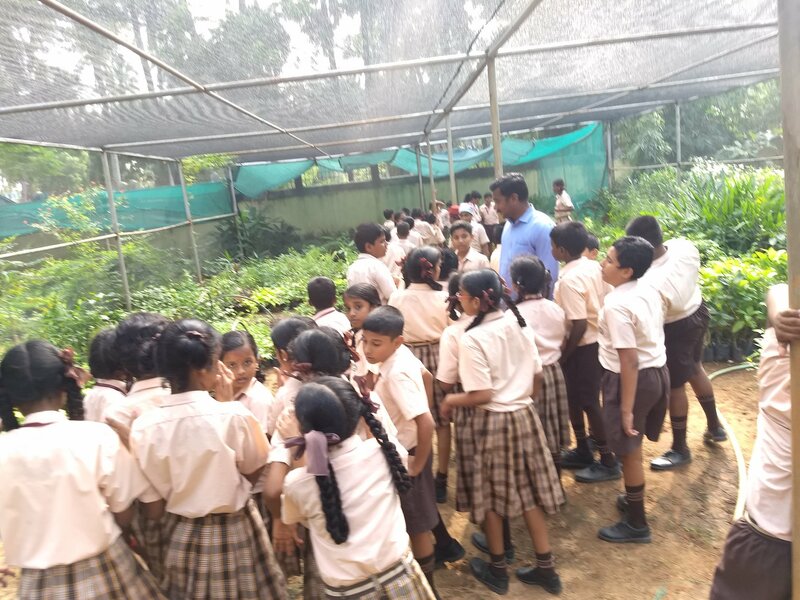 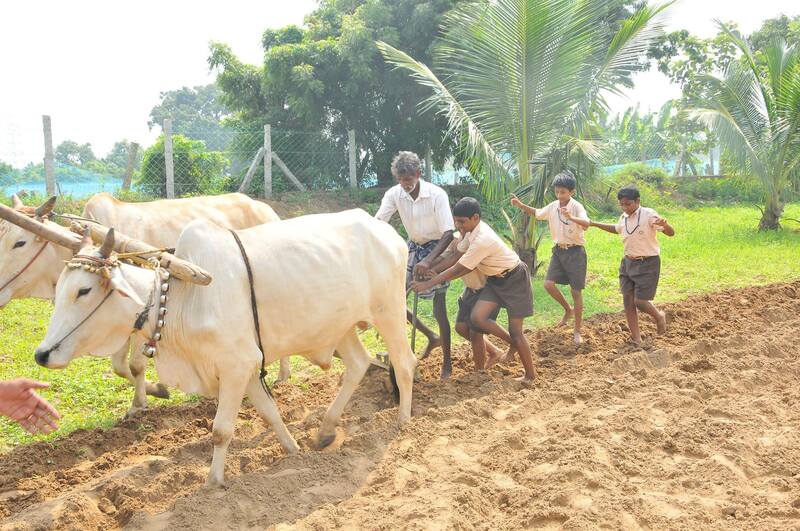 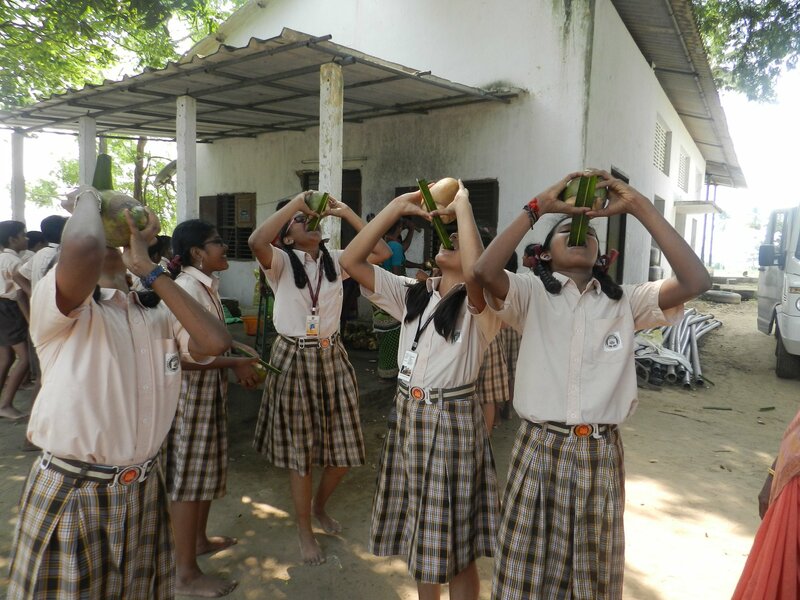 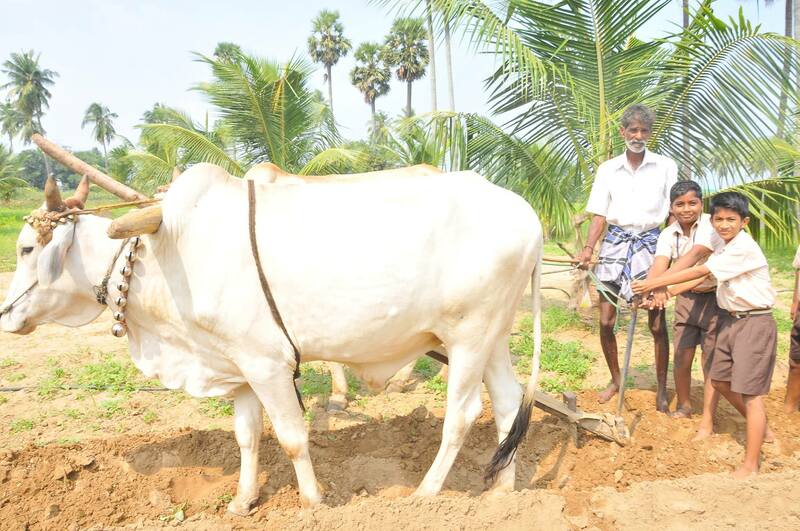 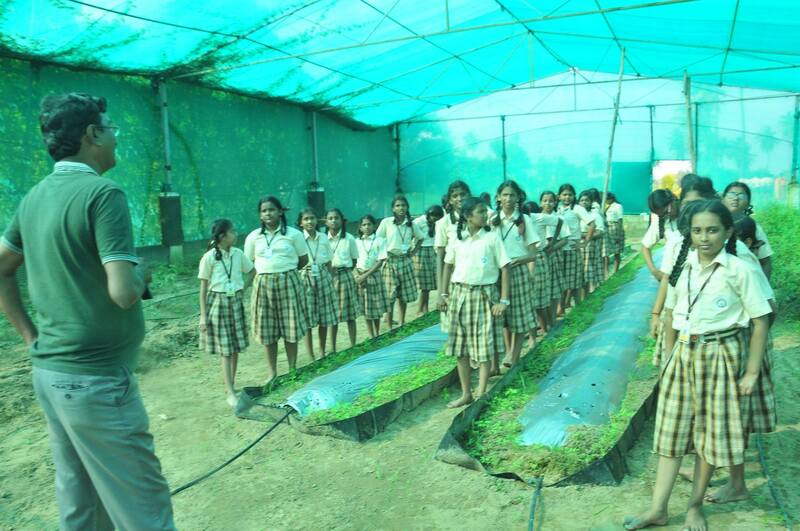 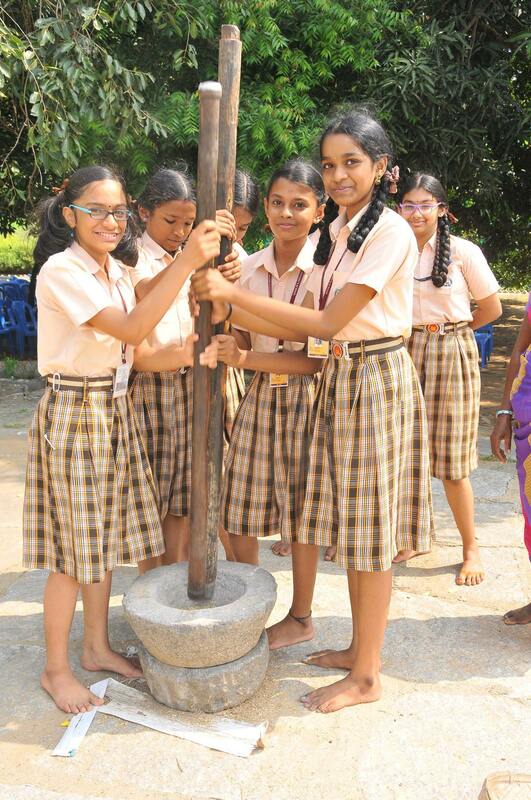 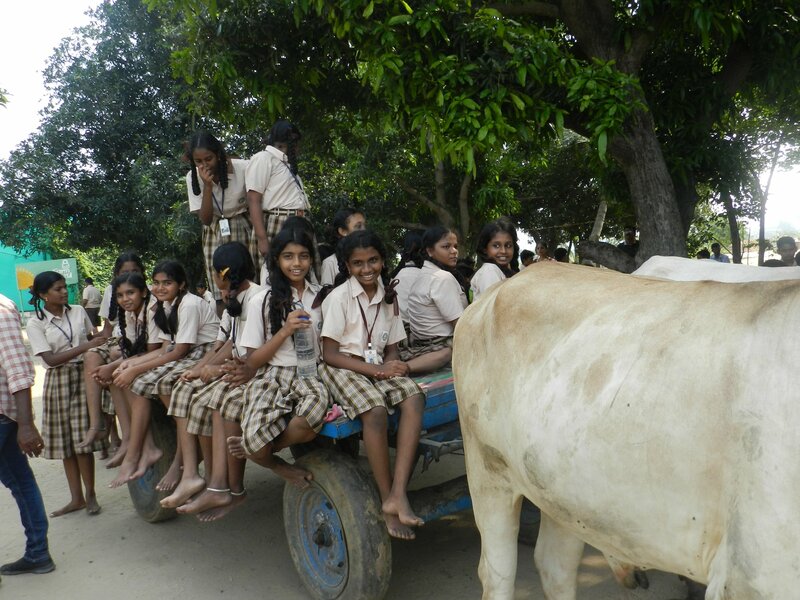 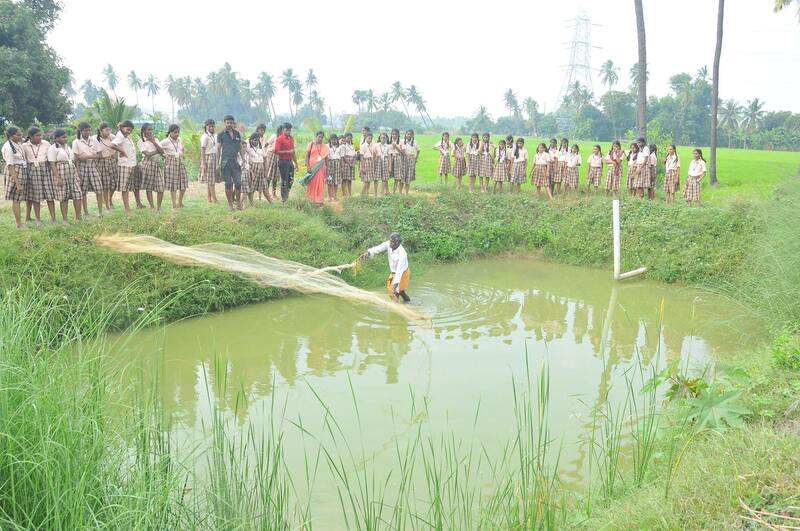 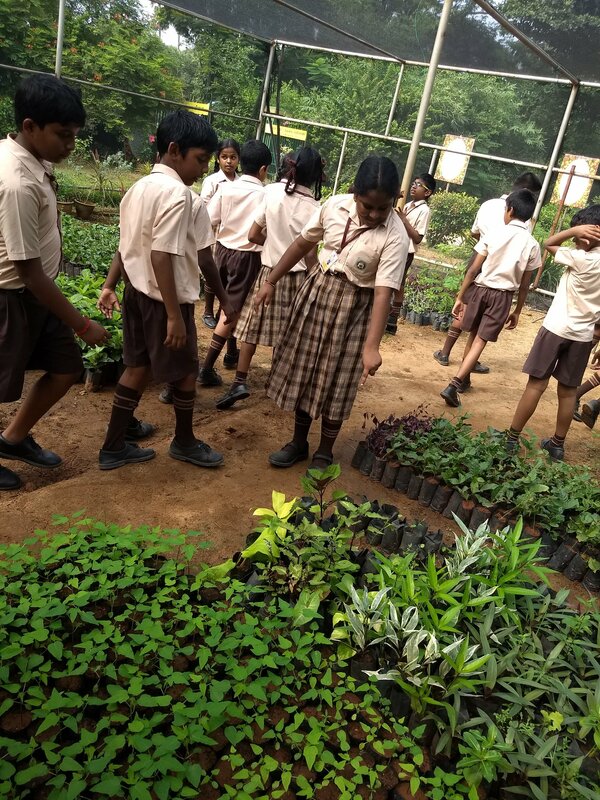 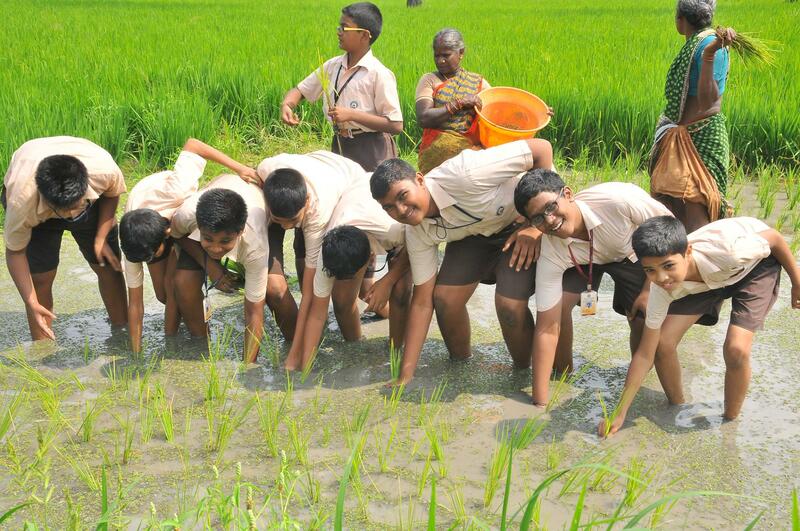 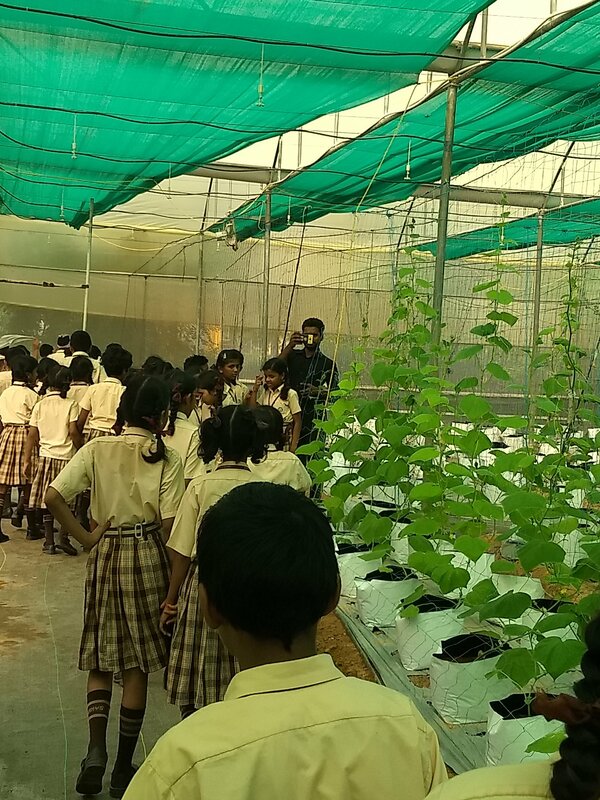 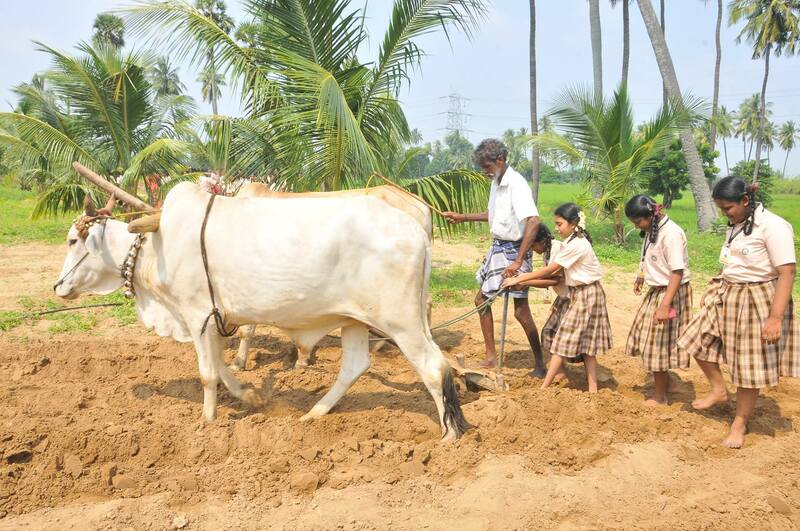 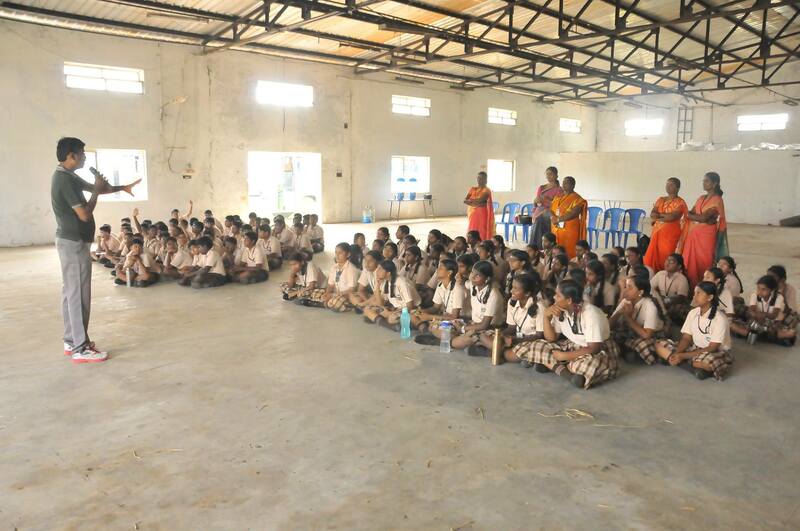 Students of Swamy’s School went on a field trip, where they got the opportunity to connect with nature through hands-on- experience in organic farming as well as the techniques of sowing, re-planting, re-weeding, and harvesting.